Such a wonderful accessory, you can never have to many pincushions. They are useful, decorative and always a welcome gift. This pattern gives you five fun options. So if you have ever wanted to learn and try some tiny piecing this is your chance. The Pineapple block and Flying Geese block are foundation paper pieced, if you have not tried this techique before this little project is a great way to start. The other three are rotary cut and regular piecing. 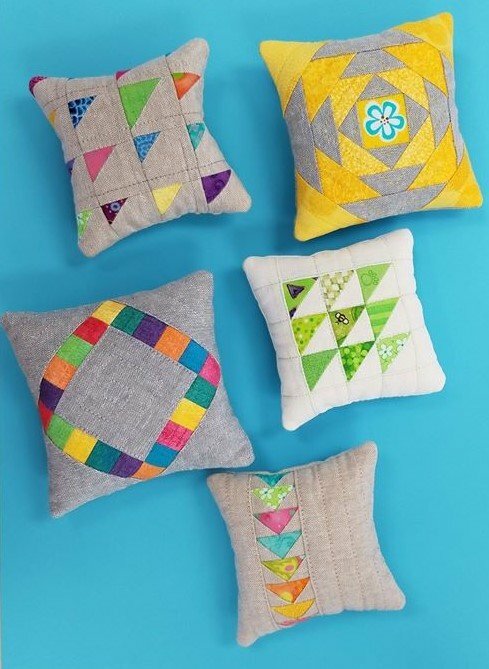 So pick your favorite one & grab your scraps and we will learn how to sew these perfectly adorable tiny squares. Bet you can't make just one!